K9 GSM Alarm System released! The King Pigeon K9 GSM Alarm System is a new released smart home security alarm solution for residential house, shop, office, business, etc. With new advanced designation, K9 supports 99 defend zones, and up to 999 event logs record for review, Big LCD display, touch keypad and 10 languages user friendly menu for easy programming and operation. The K9 GSM Alarm panel can setting 9 kind of zone types which ensure users and assets be protected 7*24 hours. Users can also remote access door or garage by missed call, just dial in to the K9, your system will change to Stay arm mode and open the door or garage when you back home. 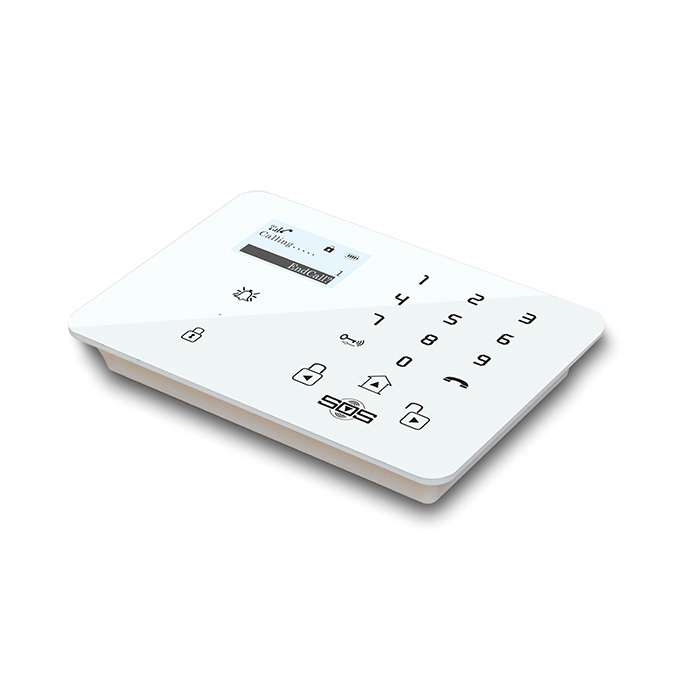 By the thoughtful and unique design functions, such as Schedule Arm/Disarm, Bypass arm, SOS alarm, elderly living care, wireless door access & remote control, sensor’s low battery alert, Arm/Disarm notification SMS , event logs, etc. K9 can do more than your imagination for your safety and smart living whenever you are home or away.